by ARRAY ELECTRONIC CO., LTD, which provides powerful test function and friendly human-machine interface. and production field of aerospace, shipbuilding, auto electronics, solar cell and fuel cell. Powerful sequential test function: the minimum step time is 10us and the maximum step time is 99999s. Supporting SCPI and LabView and providing necessary PC software. *1、As the environment temperature less than 40oC, this apparatus canload the rated input power continuously, more than 40oC and less than 50oC，only can load the 75% of rated input power. *2、At CCL mode, current transfer speed is the 1/10 of the set value. *3、Transfer time is the time that from 10% to 90% of the final value. *4、Transient frequency is decided by the high/low level keeping time and rise & fall time. 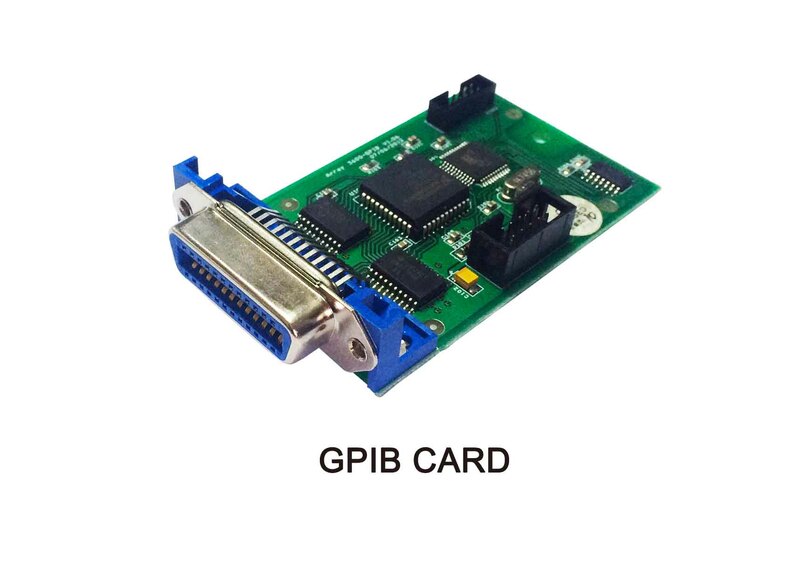 *5、Standard attachments are including RS232 interface and USB interface, selected attachment is including GPIB interface.